Dumpling Diary - ZineWiki - the history and culture of zines, independent media and the small press. 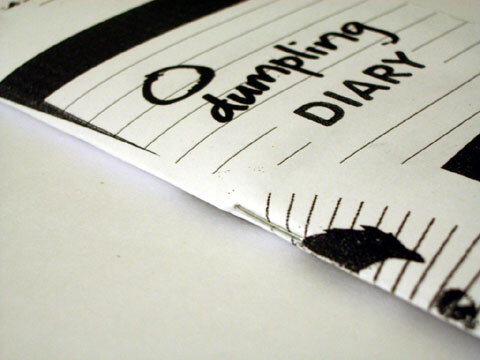 Dumpling Diary was released in October of 2005, and is a 32pp, 1/4-sized (DL), 21g zine created by sandy. The zine is considered by the editor to be 1/2 perzine, 1/3 art, 1/6 lit-zine. There is no overarching theme, but rather a mish-mash of several, including - connection, loneliness, longing for a simpler time, dreams, adjusting to working life, intimacy, ducks, fair trade, public private notes. This page was last modified on 7 November 2009, at 23:38.